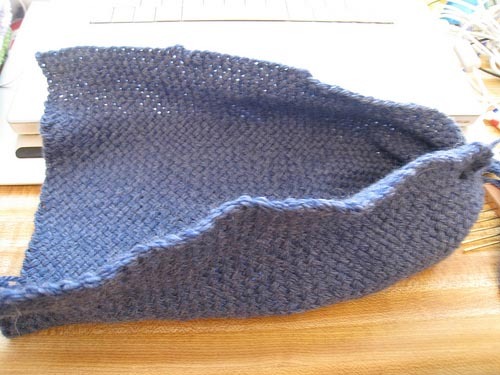 I recently visited Jen's Knitting Interrupted. 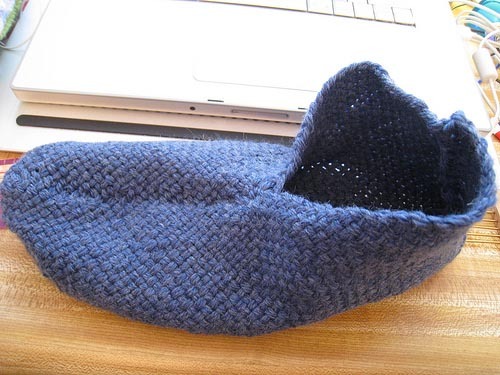 She has many interesting posts, but a recent one I liked was on making slippers from knit or woven square. 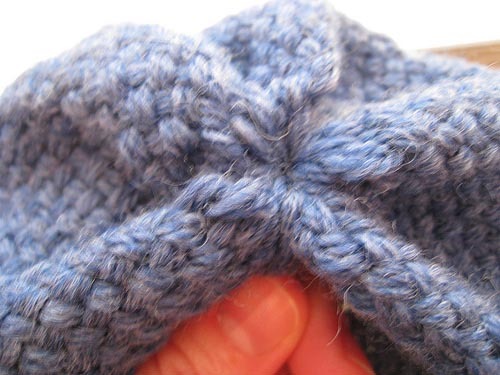 See step-by-step instruction photos below or visit her page named Woven Square Slippers. You may click on any photo to go to her page directly. What an amazing and easy idea, isn't it!? Thanks for rewinding old memories when I-The kid. What a simple rectangle can do! I had no idea these were so simple. Amazing! Whoa. That's too cool! Thanks for the share! Those are a cute pair of shoes. 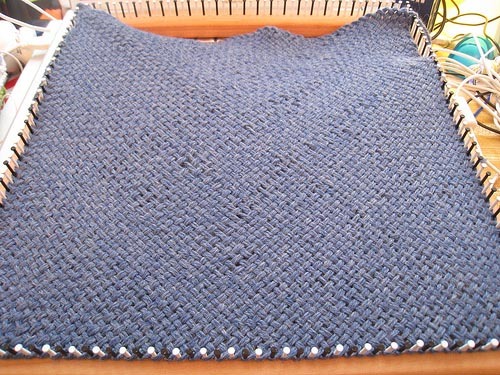 Looks so simple to knit as well. Thanks for sharing info. Now that's a neat idea. Looks like they were felted the very last thing. 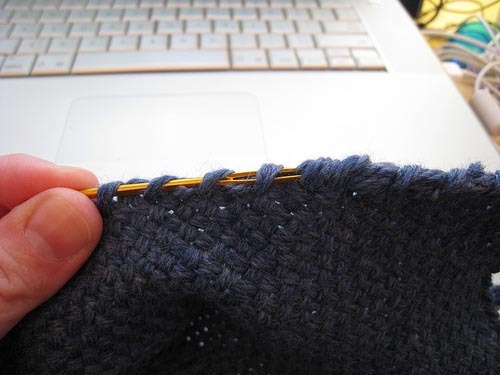 Helpful post, because I can make a square, but nothing more! Wow..that's a very good idea..
Hi Bhavesh! Sorry for another long absence, but after a busy start of the year I decided to make a break during the Carnival week, anticipating new hard weeks ahead!! Meanwhile, Blogtrotter 2 is in Haiti waiting for your comments. Hope you enjoy and have a great weekend!! Looks simple and wonderful, great pictures! I just ran across your wonderful post today. It was very helpful for me and it's filled with information. keep smiling and take care! Amazing, I have to try to make one of these for my slippers collection. How did you achieve the final look in the last picture? Did you brushed the wool, like with an air brush or something? I know that in Australia they do that with a special instrument, to give the felt look, very comfortable. I checked on Jen's blog they are definitely felted. I really like this idea. 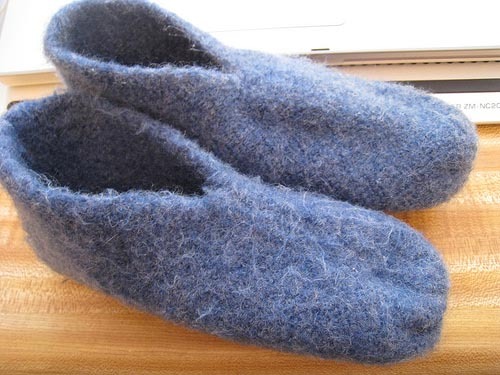 These slippers sort of remind me of the ones my mom loom knitted for me years ago, they were so cozy. By the way I really dig the blog Bhavesh there are some really beautiful photographs. This is a good idea, very innovative perfect to be wear during cold. @ Lucky the slippers men: Right! Knit slippers are good for home. This is very comfortable with you feet. 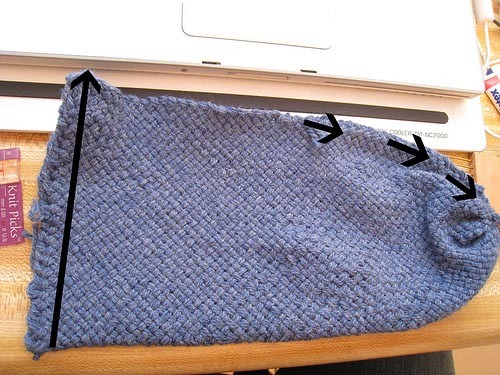 This is blog is really helpful in making your own knit slipper. WOW! It's great I found this blog. It really helps me in making knit slippers. I love slippers! I feel so envious because I really don't know how to knit. It feels so good to see my little girl wearing her own pair of knit slippers made by myself.